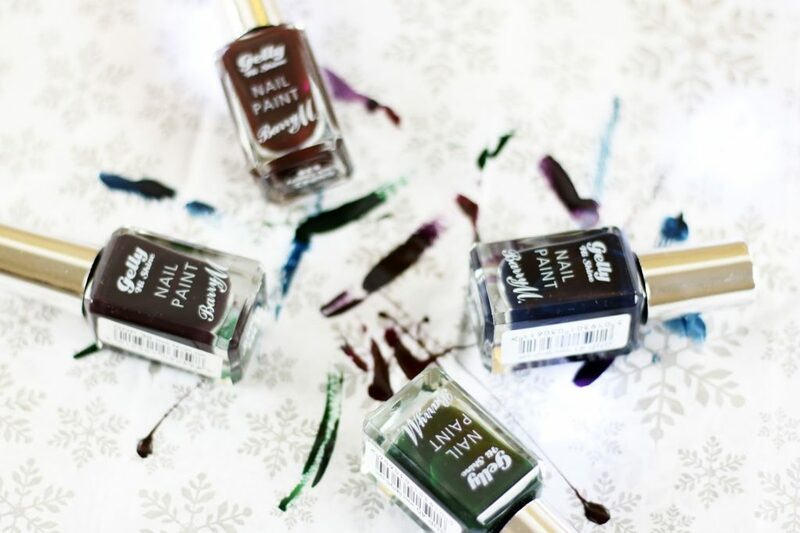 A while back, Barry M added four new shades to their popular Gelly Hi Shine range. 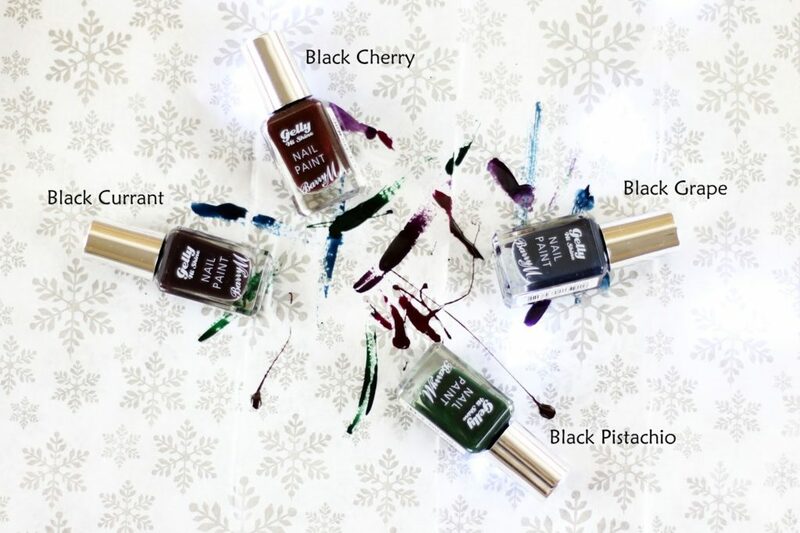 The shades were Black Currant, Black Cherry, Black Grape and Black Pistachio, which all look super dark and vampy. What I love about these nail polishes is that you can pretty much get two different shades from one bottle. 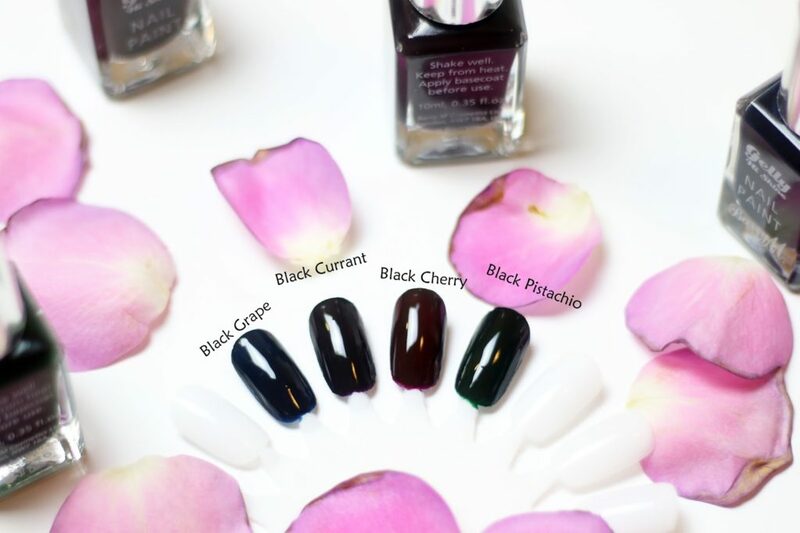 One coat gives you gorgeous opaque finish of purple (black currant), burgundy (Black Cherry), blue (Black Grape) or green (Black Pistachio), but as soon as you start to layer up, you’ll get a “black” finish with a slight hint of colour. I personally prefer to use two coats as one coat looks slightly uneven on my nails. Although these shades were first launched around October last year, in time for Halloween and Christmas, it doesn’t stop me from wearing them in January. You still want to make a statement during the colder months, right? Make that statement through your nails! Now tell me, which one is your favourite? Or do you prefer another set of shades from the Barry M Gelly Hi Shine Nail Paint collection? *Disclaimer: I received this product at a press event, but the views are my own. Next Post Sports Gear: Work It and Be Awesome!